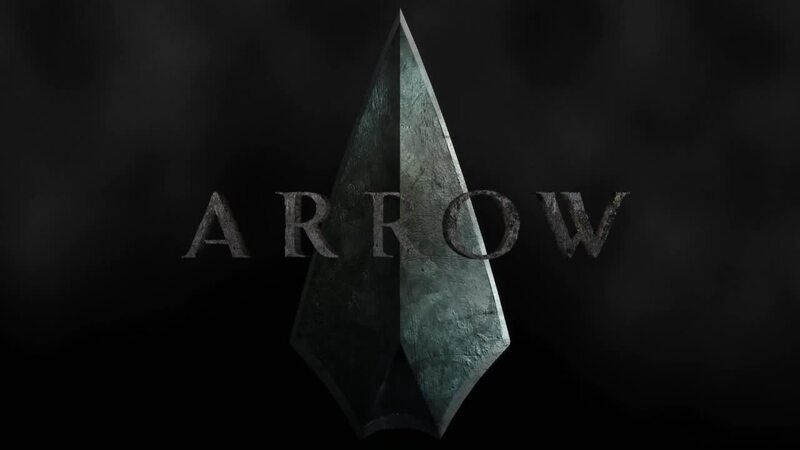 Welcome back, Arrow-heads, and boy, we got a lot to cover before we get started here. Let’s start with the island flashbacks as our group gets to that sub with the super-serum, and injects Slade with it to save his life…which seems to kill him instead. Things in the present aren’t as rosy either, with Ollie discovering a plot to make more of this compound (that he swears is completely destroyed) with one of Brother Blood’s test subjects doing the grunt work. After telling Roy to back off the bizarre deaths that he knows are being caused by the super-serum’s failures, Ollie traces Blood’s henchman to a storage facility, and promptly gets left for dead. Good thing Felicity has been making cute with visiting forensic guy Barry Allen, because she has him abducted to help a dying Ollie. How does that turn out? The Ghosts of the Past are Knocking. We pick up immediately after the last episode, as Barry helps save Ollie from that syringe of what we discover is blood thickener using a blood thinner, i.e., rat poison. Before Ollie blacks out, he sees Shado beckoning him to give up, and when he comes to, he almost chokes out Barry. He’s really not cool with Felicity and Diggle letting Barry knowing about his secret, but he gets distracted by that little problem by a phone call from home. Besides Moira planning a quiet Christmas at home, Thea has locked herself in her room. Ollie goes to see what’s going on, and finds Thea and Sin taking care of Roy and that arrow that Ollie earlier left in his leg. 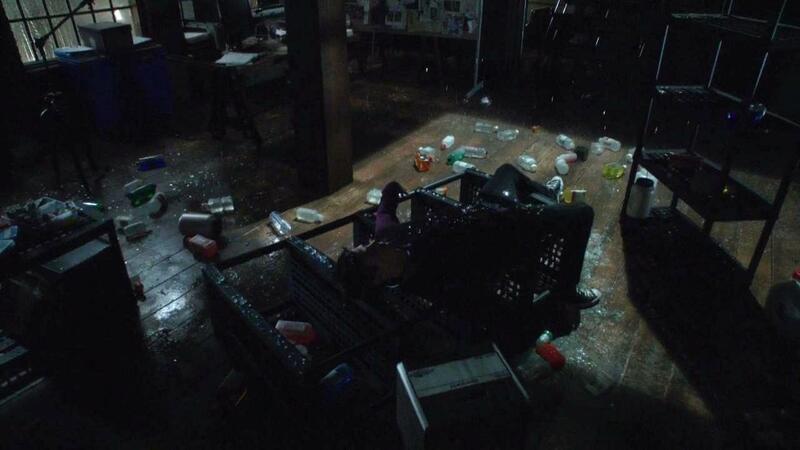 After clumsily asking Diggle to help out there, he leaves and sees Shado again. She warns him to give up before his family pays the price for his quest. He’s not sure what’s going on, and Thea is wondering why her brother is talking to himself. Hunting Cyrus. While Barry is going all geeky over being in the Arrow HQ, Ollie has to ask about the side effects of Barry’s cure, which include lots of sweating, and the more important part, hallucinations. Besides offering some options as to something beside grease paint to conceal his identity, Barry got something else for Ollie: the fingerprints and location of Cyrus. Diggle does some recon, barely escapes getting killed by Cyrus, which gets Ollie to reach out for help from Quentin. And while they’re both having their roofside chat, Ollie sees Slade and tells Quentin he’s not in the best shape to take down Cyrus. Quentin gets Lucas to sign off on the small team to hunt down Cyrus, and Blood’s man in the PD lets Blood know that. And that goes about as well as it sounds, which is Quentin severely injured, and Lucas and the rest of team (save Blood’s PD guy) killed by Cyrus. Ghost Number Two. Ollie kicks Felicity and Barry out of the HQ for some alone time and practice, which brings ghost Slade a calling. Ghost Slade calls Ollie out for being a failure (for some things we’ll get to seeing later), while making Ollie pull an Ed Norton in Fight Club by trashing the HQ. He’s just cleaning up as he gets the news from Barry that his hallucinations are psychological, and not in his blood. Around that point, he (and Laurel) get news about Quentin being in the hospital. 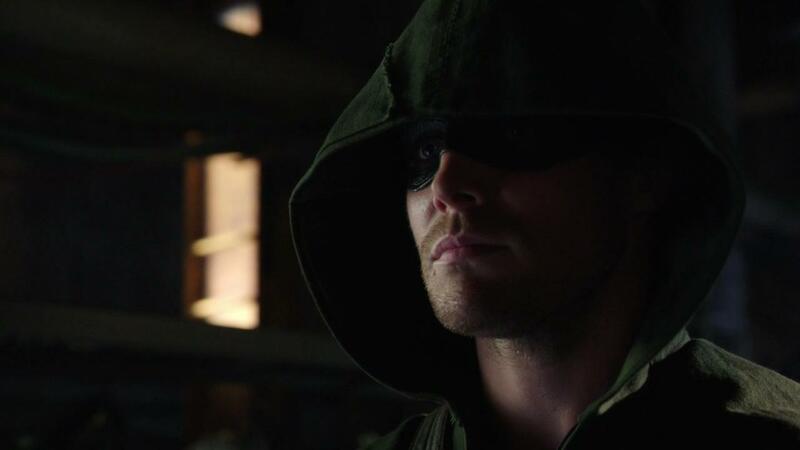 Arrow visits Quentin and gets a key Quentin swiped from Cyrus, which they find is to a warehouse in the Glades. Despite Ollie not being in the best shape, he goes there anyway. Not Getting the Point. Turns out the trio of Roy, Thea, and Sin aren’t going to be discouraged by Roy getting shot in the leg by Arrow, so they reach out to Laurel for some help (which is around the time Laurel gets a bouquet of flowers from Alderman/Brother Blood). She provides as much as she can, like psych evaluations from Blood’s blood drive (which is already suspicious), leaving the trio to take further measures. So, Roy breaks into the psychiatrist’s office and gets captured by Brother Blood, who puts the serum into him. The Third Ghost. Around the time Roy’s getting the serum put in, Ollie shows up and finally meets Brother Blood. He also gets beaten senseless by Cyrus again, and then another ghost shows up: Tommy. Ghost Tommy gives Ollie a good pep talk to keep going and takes Cyrus out of commission while Blood flees. Ollie revives Roy and drops him off in Thea’s room, where he’s staying mum about what happened. But considering he has that super-serum in him now and that limp is miraculously gone, that probably won’t be for long. “I know exactly who he is. He’s my friend.” Alderman Blood gets away from his destroyed super-serum factory and somehow has time to announce his candidacy for mayor of Starling City. Then, he goes to an office, where a mystery man hears the bad news and offers to provide more samples of his blood. 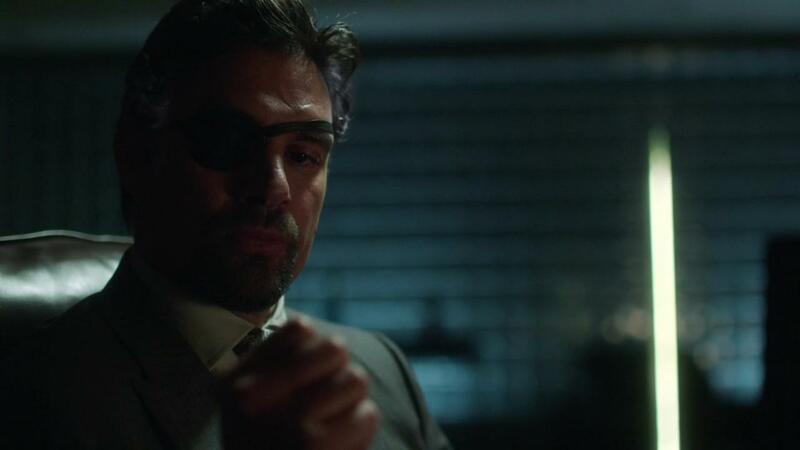 That “he” is a cleaned-up, eye-patched wearing Slade, who promises Blood to make Arrow pay by hurting those around his “friend” before ending him. This brings us back to the flashbacks, where we see Slade come back to life, rush in and kill most of Ivo’s men with super strength. Ivo escapes, and Slade is torn up over Shado’s death. So, Sara lies about Ollie’s decision that cost Shado her life, and Slade vows to kill Ivo. Something tells me Slade is going to hear differently on that matter between then and now. In A Flash. While Ollie gives the gang the news about keeping tabs on Roy for the foreseeable future and the whole super army Blood’s creating, Felicity gets a call from Barry, who went back to his office in time to catch that particle accelerator we’ve been hearing about being turned on and all. He hangs up to hear that the stormy weather is causing some problems, and the accelerator lets out a pulse that knocks out the power throughout the city. While he’s trying to find some lights, a bolt of lightning blasts him into a shelving of active chemicals. While we don’t know if Barry survived (spoilers: he kind of will), Felicity presents Barry’s gift to Ollie: a nicely shaped mask for his eyes. Merry Christmas. I’m sure Barry will be okay in a flash. Sorry. –Comic book connections: There’s a whole Solomon Grundy connection in regards to Cyrus. Then there’s current day Slade, who appears with eye patch, Paulie Walnuts gray streaks in his hair and all. Plus, we get an origin of the Flash with Barry’s mishap, who may or may not be in a pilot for his own show, and we may see later this season. We clear? Good. –Not sure if Cyrus is dead from that explosion, but he’s probably not going to be happy when or if he comes to with his scarred up face and all. –RIP Lucas. Although if you like to see a more tragic death for that actor playing Lucas, may I suggest episode four of the sixth season of 24? Man, that’s just a worse death on so many levels. –Can I just say its nice to see Tommy again, hallucination or not? Go, Head Tommy! –Slade killpunched a guy in the chest. That happened. –“Shado? Sara? You’re sure you weren’t marooned on Fantasy Island?” Mmmrow, Felicity. Although we all know who you want to be stranded with, and the name doesn’t rhyme with “Harry”, if you catch my drift. Damn right “Like a hero”, Felicity. Damn right. ← What exactly is an Existential Romance Novel? and please god, don’t tell my mother about them!